Rate this Article Preparation and Training both the jockey and your horse is the key to win the races in Horse Games. Let's tackle the basics of their stats and what they contribute in general in this short article. Preparing beforehand is relatively the single most important key to any challenge – and Horse games are not an exception. 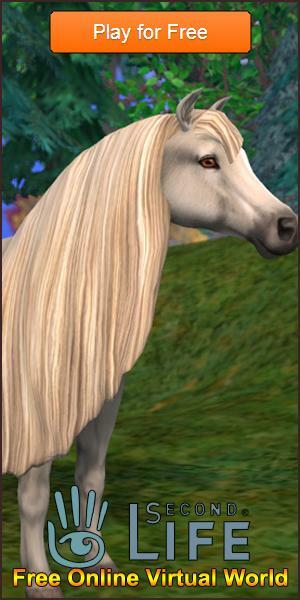 During the lot of breeding, training, and simply playing through the lot of horse games, we came across several patterns onto breeding or training race horses, and statistics that generally contribute to have you earn the champion horse you’d surely want before even running/signing up on a race. Preparations allow you to estimate how much stamina the horse will need to finish the race depending on the track that you’d want it to excel into, and of course the line-up of important stats in order to win. The tracks vary in leagues (distance), type of course (dirt/grass), and those with obstacles therein (jump race events). And so, the training regimen of your horse is the main contributing factor, for you to win these races. Every start-up horse have base stats and maximum stats bases on the pedigree and traits, and all the horses of the same pedigree have the same strengths but differs in rendered potentials depending on how you implement your training regimen, proper scheduling (or training, rests, and competitions). You may train your horse even beyond their limits by using special training facilities in other games too, as well as teach them abilities (and pass on to their lineage upon breeding). Some of the much wanted traits for a horse to start with includes, inert intelligence, strength/vigor/power/stamina (depending on how the game calls it), and docility. The best way to max the stats of any horse is to start up with a good footing – meaning a good horse with pretty good base stats to start with. Traits like inert intelligence will get you winning the courses technically (e.g. winning by properly timing the use of special abilities like dash or the like). Docility on the other hand will provide you a horse that is willing to learn and is spirited to do the training regimen you’d want it to perform – to their max stats and abilities. Other than that, there are the games that include the training of a jockey – to influence the horse’s performance over the race as well. It is very important choose the right jockey for the job, as if you enter varying types of race courses within a game. Some other games even influence the quality of training you get depending on the ability of the jockey that trains the horse. Basically, you have the stamina, speed, dexterity or intensity of a horse to train in each and every game that offers training/s. Stamina gets you the capacity of the horse to finish the race course depending on the distance, Speed inclines your leverage to finish faster than your competitors, and Dexterity will provide you with a perfect striding horse that maximizes the corners and struts of a race course. Other than that, the main thing to focus into is the schedule for training and races. Not only that, you also have the fatigue of the horse to consider. Properly maximizing every day/week/month (depending on the game) in training, will ultimately result into properly maximized stats in the shortest period of time. Otherwise, you may try to reach for the farthest capacity of a startup horse, get it breeding foals, and startup with relatively better horses the next time. Horse games are uniquely fun and exhilarating to play – especially race horse games to mention. We have a couple of games reviewed on our belt, and recommend you to try any of them in our site (links included). Rest assured, you’ll end up with a great game to have fun with and entertain you.